EarthEcho International is proud to partner with Drinkable Rivers and founder Li An Phoa. 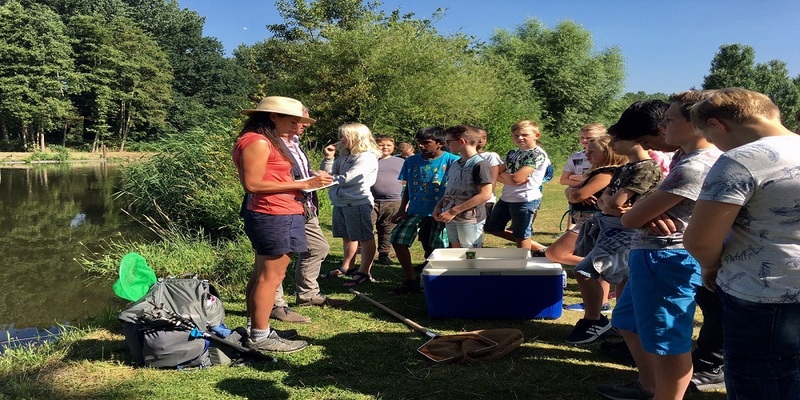 Phoa's 1061 kilometer walk along the river Meuse from the source in France to the North Sea in the Netherlands last summer was an outstanding example of the engagement of citizen scientists in investigating the health and quality of an entire river. Daily, using EarthEcho Water Challenge test kits, Phoa took samples from the Meuse river together with local people in France, Belgium and the Netherlands. Aside from the impact of familiar industrial pollution, Phoa wants to measure the impact of local people by broadening the research to look at medicine residue and microplastics as follow-up research this year. The results of the citizen science will be adopted in the database of TU Delft WaterLab that supports the broadening of the research to other rivers in Europe. The research engaged 500 people in the Meuse watershed with ‘their’ river. These inhabitants, among which many children, actively participated in the research by taking measurements with guidance of Phoa. Phoa’s Drinkable Rivers Source to Sea Walk provides an incredible model for how citizens, and young people in particular, can be mobilized to learn about and take ownership of their local water resources through water quality monitoring. In honor of World Water Day, Drinkable Rivers has released the data from this unique study and we are honored to share their results through the EarthEcho Water Challenge database, allowing these findings to be shared with a global audience and inspiring communities around the world to join her in taking action to protect their local waterways. Learn more in Drinkable Rivers' data release announcement and explore this unique data set collected by community members and citizens who are dedicated to learning about and monitoring their local waterways.